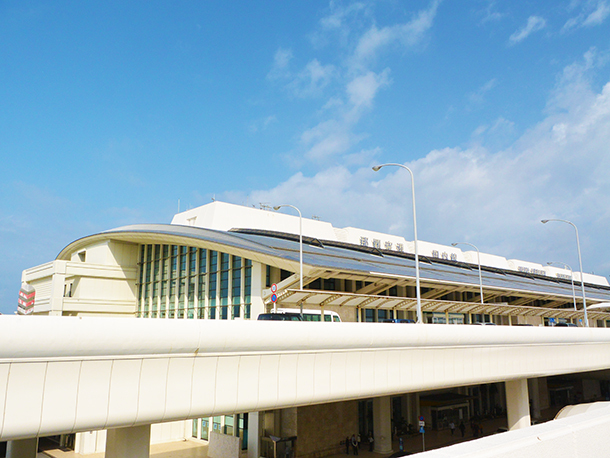 Naha Airport A convenient and enjoyable airport! The Naha Airport(那覇空港) has a real feel of “Okinawa Culture.” If you have the time recommend walking around the four floors of airport facilities. The“domestic use” terminal is a fun place with lots of duty free shops. Let me introduce the facilities and services. 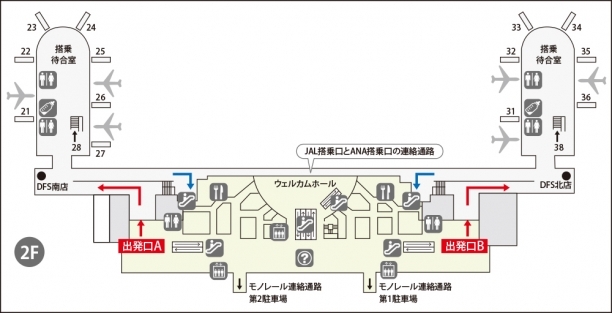 Since the arrival lobby is the first floor, you can immediately leave the airport from there. Taxi line and bus stop are located right outside. You can also catch the shuttle bus to the rental car companies. If you want to use the Yui Rail go to the second floor to connect with a train. There are a lot of the guardian angel of Okinawa Shisa in the Naha Airport. and even on the boarding pass machine. You may also notice the small, rainy day metal Shisa. Okinawa’s famous “Beni-imo tart” is served at “Okashigoten” on the second floor. Also on the second floor is“Ohakorute” with fresh seasonal fruit tarts and pastry. Above the second floor, there is duty free shopping with more than 20 souvenir shops where you can buy every kind of Okinawa souvenir. ⦁ “Soba-dokoro-Ryufu” on the first floor has delicious Okinawa soba. 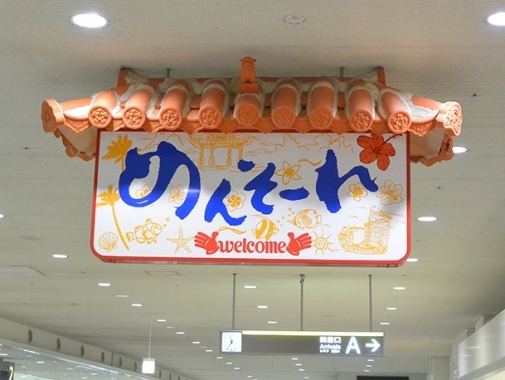 ⦁ The airport dining room also on the first floor has Okinawan food at affordable prices. ⦁ Starbucks coffee on the second floor has a familiar coffee mood. ⦁ “Ryukyu-Kaitenzushi-Mirai” on the fourth floor has seafood sushi as well as Okinawa Prefecture, Wagyu beef. ⦁ “Tenryu” on the fourth floor has stir-fry, such as Okinawa Soba. A&W on the third floor is Okinawa’s American-born fast-food shop. The “welcome Hall” in the atrium on the second floor has become a symbol of the terminal. There are palm trees and ornamental plants that create a tropical mood. The hall is facing the runway, so you can see up close the take-off and landing of airplanes. Welcome Hall is outside the security checkpoint. 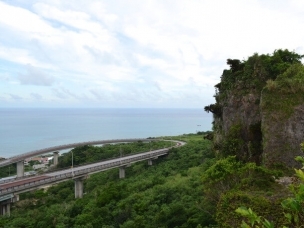 I recommended getting a drink at the A&W located in front of the observation deck entrance and spending time on the deck enjoying the Okinawa breeze. It is surprisingly cool because of the wind and is a great place for the children to play and run around. The deck is open from 8a.m. to 7p.m. 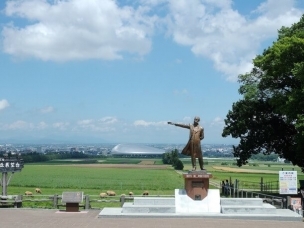 Admission fee is 100 yen (children under the age of 6 are free). The departure lobby is on the second floor of Naha Airport. This is the same floor as the connection passage for the Yui Rail. You enter the departure lobby once you pass through the security checkpoint. 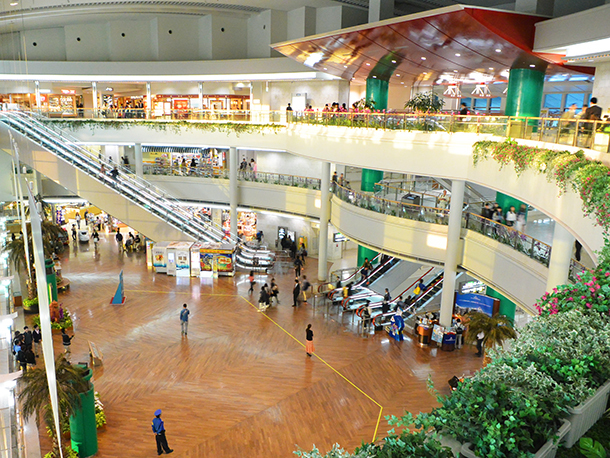 You will find here duty-free shops such as DFS Naha airport duty-free shop. They have items like name-brand bags and perfume. 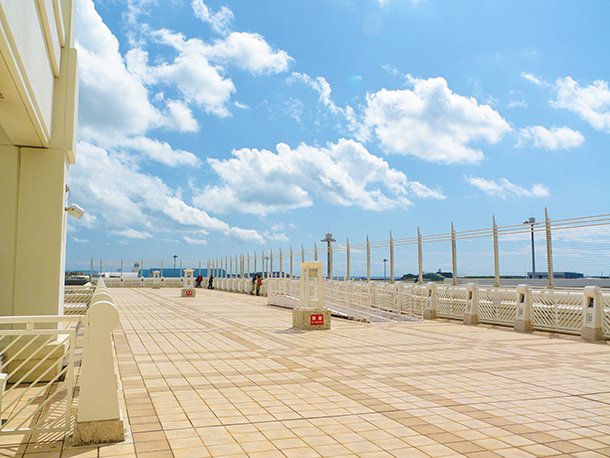 There is also BLUESKY and Coral Way which sells all types of Okinawa souvenirs. So if you have time before boarding, there is plenty of good shopping to enjoy. On the walkway for the JAL and ANA boarding gates there is a viewing area similar to Welcome Hall, where you can view up close the take-off and landing of planes. If you have the time, you can spend leisurely wait on the first floor pay lounge. Unlike the airline lounges, you can use this lounge even if you are not getting on an airplane. It can also be used as a waiting area when you come to pick up family or friends. There are about 50 leather seats and soft drinks are all free. Gold card or similar credit cards allow for free admission if you present your card and ticket for a flight that day. It is open from 8a.m. to 8p.m. Large aquariums with tropical fish have been installed on the first floor in two different locations. They were provided by the Churaumi Aquarium. Watching the fish helps to pass the time while waiting. ● Rlaxation and nursery rooms. In case you are not feeling well there is a relaxation room on the first floor you can visit until you are feeling better. There is also a nursurey room for families with young children on the first, second, and third floors. The tour desk on the third floor is worth stopping by after arrival because there are discount coupons distributed free of charge. If you have a long flight and are feeling fatigue, you can receive a massage (surcharge). 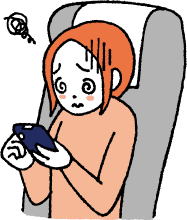 Since there is such a large variety of facilities and services provided at the Naha Airport, even if you have a long time to wait, you can do it comfortablywithout getting tired. So please explore the airport! Find classic Okinawa souvenirs and special limited goods together at the Naha Airport! Let us show you how long it takes to get to some excellent tourists spots by car from Naha airport! 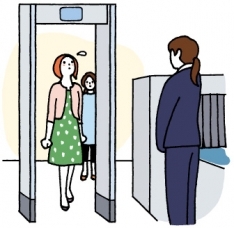 How to smoothly rent a car at the Naha airport! Not commonly known hotel services that can make your travel more convenient!